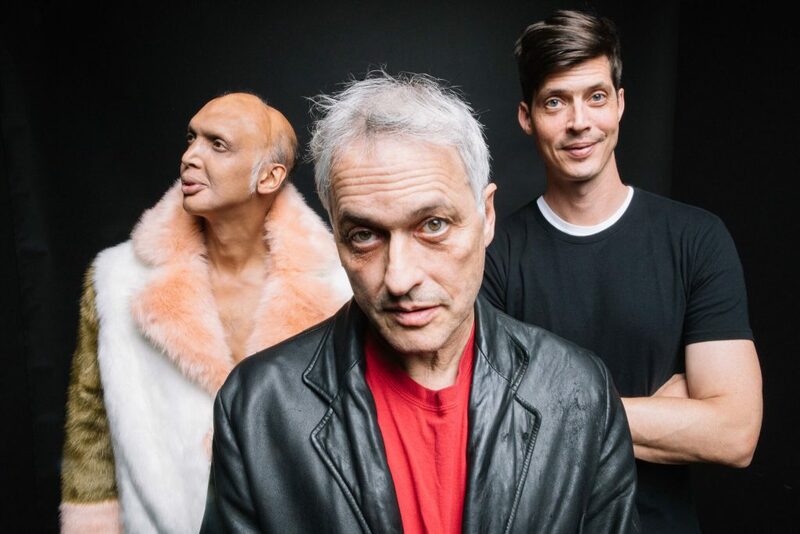 Please join Ars Nova Workshop for a special night of incendiary music as Marc Ribot’s Ceramic Dog makes a very rare Philadelphia appearance. Ceramic Dog is a free punk, funk, and experimental collective featuring Marc Ribot – who has collaborated with Tom Waits, John Zorn, T-Bone Burnett, Marianne Faithful, the Lounge Lizards, and Elvis Costello – plus two of the best young players on the New York and California underground improv/experimental rock scene, Shahzad Ismaily (who has performed with Laurie Anderson and Lou Reed, Bonnie “Prince” Billy, Burnt Sugar, and the Secret Chiefs 3) and Ches Smith (who has performed with Xiu Xiu, Good for Cows, and Tim Berne’s Snakeoil). Ceramic Dog’s sophomore album, ‘Your Turn,’ landed on several ‘Best of 2013’ lists including PopMatters, Alarm Magazine, and Something Else. PopMatters writes: “The scary thing about Marc Ribot and his new(ish) band is that all of these styles and quirks are pulled off so convincingly… with their first album well behind them, they are even fiercer than before… 8 out of 10 stars.” All Music calls the album “an absolute scorcher… this band can do nearly anything,” and Robert Christgau says “Ribot’s new hard-rock album with Ceramic Dog ranks amongst his most daring,” in his review on NPR’s All Things Considered. Ceramic Dog will release its first album in five years just in time for this rare Philadelphia return.